The subject of a certain motoring organisation and their pricing policy arose during a conversation with a family member last week. The family member concerned, having been a member of the said organisation in excess of 50 years, discovered he had been paying greatly in excess of the discounted rate given to new customers for many years. When he challenged the lack of loyalty to long standing members, the customer services operative seemed baffled, implying it was the FM’s fault for not phoning and asking for a discount each and every year. Whilst a long way from ideal, it is at least, an option for young, fit and able bodied people but not always possible for the elderly. Some find it harder to ‘shop around’. Likewise, the utility companies have jumped on the same bandwagon caring nothing for loyal customers who remain with them, rewarding those who jump ship every year. Loyalty, “a strong feeling of support or allegiance” according to the Oxford dictionary, seems to have become a dirty word in business terms. It is absent entirely from call centres and unused by many salesmen who are only concerned with new customers, considering long standing customers a commodity to gain extra fees. The Cotswold Mortgage Broker is four years years old and we have not increased our fees from the day we started. We decided from the outset that we wanted to make loyalty a key feature of our company and not only do we discount our standard fee by 50% for first time buyers, but we also reward loyalty to the tune of a 50% discount from the standard fee of £495.00 for every subsequent mortgage after the first. No customer is ever asked to pay a full broker fee more than once, not even if we arrange a string of buy to let mortgages. Furthermore, our fee does not become payable until the property or re-mortgage completes. If the property purchase does not happen, we do not get paid, regardless of how much time we have taken to process the application. We hope this approach sets us apart from other Mortgage Brokers. We care about our customers and want them to come back to us. 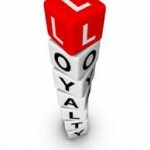 Loyalty is important – it matters.